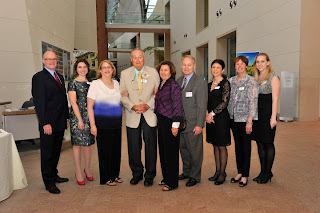 The Board of Trustees of Essex Heritage met for an update from the Executive Director. A number of issues of interest were discussed. An overview of the Youth Summer Job Corps program was discussed. This summer 40 under-served youth from the region have been working at both of the National Park Service sites in Salem and Saugus and, new for this year, some of them have also been working at The Trustees of Reservation’s Appleton Farm in Ipswich. The upcoming Trails & Sails weekends were discussed and a sensational new 2012 Guide was distributed. These new guides can be obtained for free at the Essex Heritage Regional Visitor Centers, from many of the host sites, and from some Eastern and TD Bank branches. Or you can call Essex Heritage and have a guide mailed to you for $5.00. The full guide along with up-dates and changes can be seen at www.trailsandsails.org If you go on-line, you can create your own unique itinerary too! The guide highlights over 200 free events that can be experienced on the two weekends. Essex Heritage remains very appreciative of the many organizations that offer all their free events. This is a huge regional effort. Essex Heritage is also most appreciative of the sponsors of the event, TD Bank, Eastern Bank and REI for their generosity and commitment. A report was provided on the progress of the cleanup activities being undertaken by the US Coast Guard on Bakers Island on Salem Sound as Essex Heritage works towards public visitation to the island in the future. A report on recent successes of the witch trial presentation being offered at the NPS Visitor Center and expectations as the month of October draws near with a large increase of visitors to the City of Salem. If you have not yet viewed this presentation focused on the witch hysteria that gripped Salem in 1692 you should make plans to visit the National Park Service Regional Visitor Center in downtown Salem during the month of September before the increased number of October visitors start to arrive. Puritan New Englanders viewed taverns as a necessary evil. Travelers needed a place to stay and eat, and sessions of court were sometimes even held in them – including the early hearings in the Salem witch trials. However, they were also places where people could fall for the Devil’s temptations. Taverns provided the setting for drunkenness, lechery, gambling, idleness and even witchcraft. 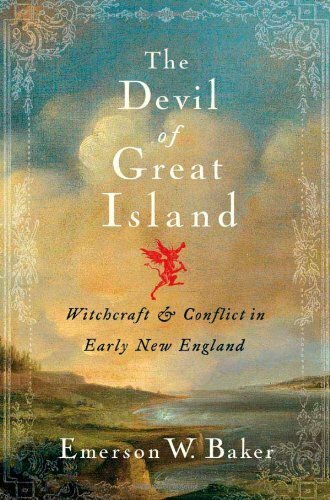 Salem State University historian Dr. Emerson Baker will discuss the bewitched and debauched Quaker tavern at the center of his book, The Devil of Great Island: Witchcraft and Conflict in Early New England. All through the summer of 1682, a stone-throwing demon would supernaturally assault the New Hampshire tavern, and there were links between these events and witchcraft in Salem ten years later. Indeed, there are many interesting connections between witchcraft and taverns in early New England. Baker will also explore what early tavern culture was like. What were the preferred alcoholic beverages and tavern games during the Salem witch trials? Come for a drink and find out. Refreshments and Socializing starts at 7:00-7:30, Lecture 7:30. Professor Louise B. Swiniarski of the Education Department at Salem State University, will focus on Elizabeth Peabody: her work, friends, and the literary salon she hosted on West Street in Boston. She will also discuss Elizabeth’s relationship with her sister Sophia, wife of Nathaniel Hawthorne. Advanced reservations required. Please contact (978) 744-0991 and let them know you are an Essex Heritage member. Admission: $10 for Essex Heritage and Gables Members, $15 Non-Members. The Parson Capen House in Topsfield is one of the finest surviving examples of Elizabethan Architecture in this region and in all of America. The house is situated in a location that overlooks the Topsfield Common. It was built originally on a twelve-acre lot of land granted Reverend Capen by the Town of Topsfield in 1682. Parson Capen served the church in Topsfield for 44 years as its leader until his death. The Topsfield Historical Society purchased the house in 1913. It was restored under the caring direction of George Francis Dow and an official housewarming was held on January 14, 1914. In 1960, the Parson Capen House was designated a National Historic Landmark by the U.S. Department of the Interior. In awarding the designation the U.S. Department of Interior stated that this site possesses national significance in commemorating the history of the United States of America. The property is open for tours June 15 to Sept 15. It is open on Sunday, Wednesday and Friday afternoons from 1:00pm - 4:00pm. There are docents on hand to explain the history of the house and the adjacent barn. Just next door is the Gould Barn. To learn about this barn is to step back into American history. The barn was built about 1710 and originally stood at 129 Washington Street, about a mile from its present site. The Goulds were one of the founding families of Topsfield. Zaccheus Gould came from England about 1639 and played an active role in creating the town, then known as New Meadows, and was one of the leading citizens of the community at that time. The barn’s owner during the Revolutionary War was Joseph Gould. He was Zaccheus’s great-grandson. Joseph was a farmer, but on December 5, 1774, he was elected Captain by the citizens of Topsfield of one of the town’s two Militia Companies. It is recorded that on April 19, 1775 Captain Gould left his plow and traveled off to Lexington and Concord to help successfully drive the English regulars back to Boston. The barn was gifted to the Society in 1982 by Dr. and Mrs. Michael Schiff. It was carefully dismantled and its timbers were stored for future preservation and reconstruction. Norn Isler, who for many years was the President of the Topsfield Historical Society, led the effort to reconstructed the barn in its present location as authentically as possible. The Parson Capen originally had a barn, now long gone, which was contemporary with the Gould Barn. The Essex National Heritage Commission has used the barn as a meeting location for a number of events, the most important of which was the visit of the National Park Service Advisory Board when they came to the region to prepare their Second Century Report. Powers Named Director of Admissions at St. John’s Prep. We recently learned that the Shore Country Day School in Beverly has received a substantial amount of funds from the MA State Finance and Development Agency. The funds will be used to build an arts center that will be called the “Center for Creativity”. This facility will be built in time for the 2013 school year. In addition to classrooms the facility will contain a 375 theatre. The new Danvers High School will also include an expanded Auditorium. These two facilities are welcomed additions to the region and will provide much new additional performing arts venues in the region. The two neighboring seaside communities of Lynn and Swampscott have teamed up to enter into a joint partnership to purchase energy that will be offered to residents of the two municipalities. This is a wonderful example of communities in the region working collectively to provide better services and reduce costs. The Swampscott Historical Commission has issued a demolition delay to halt at least for a nine-month period the decision to tear down the former Swampscott Middle School until the historic value of the facility can be determined. Immaculate Conception Church terminates lease with Boys & Girls Club, effective August 16, 2013. The Boys & Girls Club of Greater Salem will continue to serve the youth of Salem in its current location at 13 Hawthorne Boulevard for this entire school year. However, the Club has received notice from the Immaculate Conception Parish, that the Roman Catholic Archdiocese of Boston, owner of the Hawthorne Boulevard building, will terminate the Club’s lease and tenancy as of mid-August 2013. The Parish has not stated a reason nor is it required to do so. However, it is probable that the Archdiocese intends to lease all or part of the building to a new middle school, to be named The Nativity School, for the 2013-14 academic year. The Boys & Girls Club of Greater Salem through its Kids Club provides fully-licensed after-school care for children through the age of 8. A very popular drop-in center serves children 8 through 12 and the teen program has participants through the age of 18, all at the clubhouse. The Club also manages licensed after-school care at the Witchcraft Heights Elementary School and provides after-school programs at the Higgins Middle School in Peabody. Club programs include arts, study time, sports and fun. The Club uses tried-and-true programming, including some evidence-based programs, provided by the Boys & Girls Clubs of America as well as its own special projects and activities—often developed in collaboration with other local organizations and the Salem School District. Twenty-eight part-time counselors and 40 homework volunteers assist the Club’s permanent staff. The Club also operates a popular summer day camp with its permanent staff and 16 part-time counselors. The drop-in, middle-school and teen programs are open to all youth for an annual membership fee of $10. Community and corporate support as well fundraising events cover the costs. The licensed day-care program and summer camp fees are paid by parents, by state grants and by camper scholarships. I, along with other former patients at Spaulding Rehabilitation Hospital, have been invited to attend a reunion and celebration of our successes at an event at the hospital on September 6, 2012.
they're saying that under the Affordable Care Act, they need to verify some information. For example, they might have the routing number of the person's bank, and then use that information to get the person to reveal the entire account number. Other times, they have asked for credit card numbers, Social Security numbers, Medicare ID, or other personal information. Be Alert! Don’t provide this information over the phone. One week before the end of the Massachusetts formal legislative sessions, Governor Deval Patrick expressed a mix of concern and confidence about the conference committee trying to reconcile House and Senate health care cost containment bills. “I think we’re going to get a good bill,” Patrick told reporters in front of his office on Tuesday afternoon, continuing, “There are a couple of hard issues. I wish it weren’t going down to the wire the way it seems to right now.” The health care legislation has been a major focus since early last year of Patrick and legislative leaders, and the diverging House and Senate bills are larger in size than other items that have been before conference committees. “We’ve been working on health care cost for a long time,” Patrick said. He expressed concern that he would have enough time to go back and forth with the Legislature, even if the bill is sent to him before the July 31 end of formal session. “It’s important we close out soon and given the late hour of the session that they give me something to sign because there isn’t a lot of time for the backing and forthing that sometimes happens,” Patrick said. A Boston Newspaper commissioned a recent Sports Survey where 7200 people both male and female over the age of 18 from all six New England states were interviewed on a variety of issues connected to Boston Professional Sports Teams and the results mirror present conditions of the four major teams and not surprisingly the current soap opera that is the Red Sox places them in last place in favorability among the four major Boston sports. The Red Sox were listed by 32 percent of the respondents as their favorite team and they were preceded by the Patriots with a 42% favorite team connection The baseball entry was followed by the Bruins at 11 % and the Celtics with 10%. The Red Sox fared even worse when their management style was compared to the other three teams in Boston where they finished last among the four teams in Boston. That was certainly based on their performance in the last month of 2011 and the work to date in 2012. All of this may change to a positive outlook toward the Red Sox if the major trade the trade with the Los Angeles Dodgers is completed and conditions change. I only advocate an organ donor designation if that designation fits a person’s mind set, but such a designation as I have done on my license can be a life altering situation if one’s organs can be used to save others. Here are profiles on six more Essex National Heritage Area communities and the events that are being presented this year as part of Trails & Sails. Explore an interactive exhibit showing the history of Nahant from its early days as grazing land for Lynn livestock, through its days as a fishing community, its heyday as the Summer resort community for Boston's wealthy, literary and scientific notables and artists. Dole-Little House c. 1715 house that has been restored to reflect the original period of construction. Newbury Historic District High Rd., Green and Hanover Sts. Contains some of New England's most important examples of First Period architecture clustered newer a pre-Revolution common. Parker River National Wildlife Refuge The 4600-plus acre refuge offers recreational and educational adventures such as wildlife observation, hunting, fishing and shell fishing. Spencer-Peirce-Little Farm Built at the end of the 17th Century to impress visitors, today the house reveals three centuries of construction technologies and building stabilization. Swett-Ilsley House Original portion built in 1670 and expanded in the 18th and 19th Centuries. Tristram Coffin House Built in 1654, this is the oldest structure in the Newbury Historic District. Cushing House Museum & Garden/Historical Society of Old Newbury Elegant Federal period mansion offering tours and special events. Custom House Maritime Museum This museum displays and maintains original artifacts from the prosperous trade era, maritime art, maps, journals and other objects. The Museum also hosts an ENHA Visitor Center. Joppa Flats Education Center and Wildlife Sanctuary The Joppa Flats Education Center is located at the gateway to one of the country’s most productive, year-round, wildlife viewing areas—the Parker River National Wildlife Refuge and the Plum Island estuary. Highlights for visitors are the many species of birds that utilize the area’s extensive salt marshes, mudflats, rivers, bays, and coastal waters. Maudslay State Park Gardens, trails, fishing, bird watching, cycling, picnicking, skiing, snowshoeing, outdoor concerts and performances. Essex National Heritage Area Visitor Center An ENHA Newburyport Visitors Center is also located in the Chamber of Commerce; the visitor booth is open to the public every day. Harold Parker State Forest Provides summer hiking, winter cross-country skiing, picnic area and campground. Dedicated to preserving the history of the graphic arts, printing equipment and printing craftsmanship. North Andover Historical Society Founded in 1913 to preserve the history and traditions of North Andover. Stevens-Coolidge Place Formerly known as Ashdale Farm, the Stevens-Coolidge Place was the summer home of John Gardner Coolidge and Helen Stevens-Coolidge from 1914 to 1962. Gardens open year-round, daily, sunrise to sunset. Ward Reservation The Ward Reservation represents the union of more than forty separate parcels of former farm and pasture land whose stone walls, when combined, total more than seventeen miles long. Brooksby Farm An 8 1/2-acre working farm with orchards, animals, trails and a farm stand. Elizabeth Cassidy Folk Art Museum & Peabody Art Association Gallery The Museum features permanent and rotating exhibits of unique works from the Society’s extensive collection of folk art, including architectural embellishments, funerary art, pottery, portraits and needlework. The Museum is also the home of the Peabody Art Association Gallery, which features rotating exhibits of paintings and photographs by Association artists. Felton Historic Houses at Brooksby Farm Built in 1644, the Nathaniel Felton, Sr., House was the first house built on Mount Pleasant (the Brooksby Farm area). The Nathaniel Felton, Jr. House's outdoor garden has become a popular spot to exchange wedding vows, before waltzing across the street to the Smith Barn for that once in a lifetime reception. George Peabody House Museum A restored house and community cultural center features an ENHC Visitor Center with information on Peabody and the surrounding area and exhibits on Peabody's tannery history. Peabody Historical Society Established to preserve the heritage of the city of Peabody. The Peabody Historical Society's Smith Barn at Brooksby Farm provides an ideal setting for any private celebration you may have in mind, from office party to wedding. Ideally situated on the Boston North Shore, the Boston Marriott Peabody hotel is conveniently located near Gloucester, Rockport, and Salem. Halibut Point State Park 70-acre park located at the northern tip of Cape Ann features a rocky shoreline ideal for picnicking and tide pooling. A house made of Boston newspapers. You can “like” us on Facebook! We are on Facebook. Just "like" us to see what is going on in the Heritage Area. You can share your photos, events and other tips to enjoying our region. Find us on Facebook! As funding from Federal and Commonwealth sources have become more difficult to obtain, the need for Essex Heritage to encourage financial support from the Corporate Community is essential. Towards that end, in recent weeks, I have presented information to several local organizations encouraging their financial participation and four local organizations have responded with financial commitments. The organizations that have responded positively with support have been: Berry Homes in Topsfield, Commonwealth Equities in Topsfield and NorthEast Community Bank, and North Shore Elder Services in Danvers. We are most grateful for their support. We are very much aware that there are numerous organizations seeking funding to support their mission, and we thank them for their faith in our mission work. 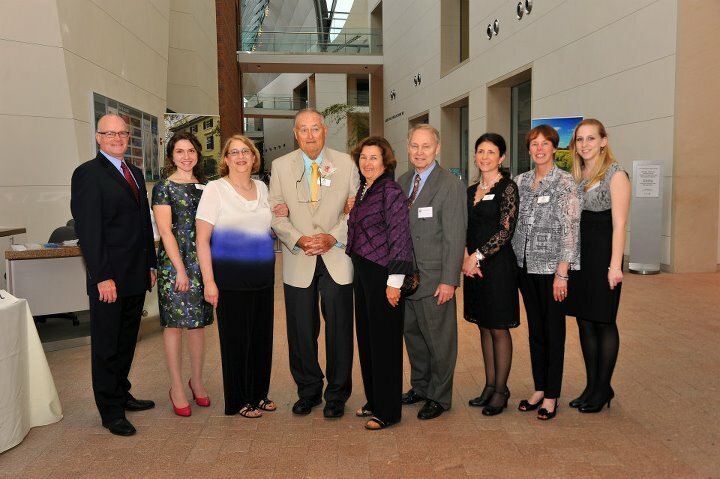 The Cape Ann Museum announced the launch of their new and very fabulous website. Check it out! Thursday nights throughout the summer settle in with family and friends for Thursday Night Picnic Concerts at Castle Hill on the Crane Estate. For more information. Did you know that the first railroad station in Marblehead was built in 1839? Read more about the bumps and successes with the railroad. "My Coastal Discoveries" by Photographer Lee Yeomans is on exhibit at The Provident Bank in Newburyport through September. Enjoy a reception with the artist on Thursday, August 23, 2012, from 5:30-7:00 pm. For more information. There are numerous communities and locations within the Essex National Heritage Area to visit and enjoy, but a trip to the fishing community of Gloucester is very rewarding because of the incredible diversity of the many elements that make up the waterfront. Gloucester has always been one of the highlights of the annual Trails & Sails Weekends, but can be enjoyed at any time during the year. This is truly one of the few places in this region where so many aspects of life in New England can be experienced. There are working fishing boats to view and the companies that service and support the fishing profession and there is also a vibrant art community that is well worth experiencing. The mission of Essex Heritage is to preserve and enhance the historic, cultural and natural resources of the region. The storied fishing industry, the arts component, and the capricious but beautiful ocean that plays such a role in the Gloucester community are key elements in the Essex National Heritage Area. There is no question that any visit to the Gloucester waterfront is not complete without a stop at the Cape Pond Ice Company (established 1848) where a 45 minute narrated tour of Gloucester's historic ice company available throughout the week. Cape Pond Ice was featured in Sebastian Junger's account of THE PERFECT STORM. Tours highlight the history of the fishing industry complete with a vintage film of natural harvests, a visit to the historic ice house and the dock where fishing boats take on ice. For tour information call (978-283-0174) or e-mail to reserve spaces in the scheduled tours, or to book a special tour appointment. Enjoy a uniquely "COOL" visit. Also located on the waterfront is the home of Fitz Henry Lane along with a statue of him seated with paint brush and palette in hand facing Gloucester Harbor. Lane was born in Gloucester in 1804 and lived in Boston and Gloucester until his death in 1865. He became American’s premier maritime artist. The clarity and light in his painting is known as Luminsim and he became famous for painting ships, harbors, and seascapes bathed in remarkable light and shadow. He was christened Nathaniel Rogers Lane but changed his name to Fitz Henry for reasons that are still unclear. At an early age he was stricken with polio or perhaps ingested some poisonous jimsonweed, it’s unclear but for the rest of his life his legs were paralized. There are numerous Lane paintings on exhibit at the Cape Ann Historical Museum including 40 of his magnificent oils paintings, a rare watercolor, and hundreds of drawings and lithographs. The museum is five blocks uphill from the Gloucester waterfront and it is well worth a visit. Across the street from the museum, is Gloucester City Hall. At the entrance to city hall are the lists of all who died at sea and on the walls inside are magnificent depression era murals. You should conclude your visit to the Rocky Neck Art Colony, one of America’s oldest working art colonies. Many famous American marine painters were and are associated with this colony including Winslow Homer and Edward Hopper. All of these locations are included in the Essex Heritage Trails & Sails Weekends, but you don’t need to wait as all of the locations can be visited and enjoyed at any time of the year. Work has started on a section of Main Street in Peabody that will include pedestrian amenities and a reduction in the width of the street from downtown Peabody to the Salem City border. The work will be comprehensive and will continue through the Spring of 2013. Sue Gronic of Newburyport and Dean of Experiential Learning at the college has been presented the International Exemplary Leadership Award for her work in developing relationships with local Elementary schools and the Regional College. Mr. Donald Provost has been named the new head of The Urquhart School. Mr. Provost was previously the Head of the Nantucket New School where he was for the eight years prior to this appointment. We welcome Mr. Provost to his new position. Just recently one of the longest connected professional baseball associates passed away, when John Pesky of Swampscott died at age 92. He has been named unofficially as “New England’s Grandfather figure”. I was most fortunate to attend with my dad my first professional baseball game at Fenway Park in Boston when I was nine years of age in 1946. At that time, Johnny Pesky was an infielder for the Red Sox and was “setting the table” batting second in the lineup for his long time friend and teammate Super Star Ted Williams. They were most successful in that year as they captured the American League Championship. It took Johnny many more years until he shared in the first World Championship in 86 years in 2004. Later in life when Former Lynn Mayor Tom Costin was honored as the second “Essex Heritage Hero” my wife and I were privileged to share the evening with Johnny Pesky at that dinner at the Hawthorne Hotel. He was a great dinner partner, and he was as gracious that evening as he was every day of his long Red Sox association. John lived until in Swampscott on the North Shore until his death. Although he was raised on the upper West Coast, as an adult he considered this area as his home. Rest in Peace Johnny Pesky. It was a long and fruitful life and you constantly gave back to those of us that followed your career. We were particularly pleased that all of the events scheduled for the recent presentation of the Olympics in London, England were offered without any security issues developing. It was a real fear of mine that an incident during the fortnight of events would occur that would disrupt the games, but no such event happened. In addition to the lack of security issues, the successes of the American athletes were sensational and exceeded most expectations. Those successes included performances by several athletes who call this region and this state their home. Young Rory McIlroy from Northern Ireland won his second major title earlier this month when he cruised to an eight-shot win to become one of the youngest two time major golf winners of all time. He won the PGA Championship. He will soon be recognized by just his first name as he joined the likes of Tiger, Jack, and Seve as two time winners before he reached the age of 25. Golf remains an important aspect of my recovery, and although I have not played this summer I do expect to return to the game. Like all else in my life, history and past performances means a lot to me, and as I follow the progression of championship golfers, Rory has arrived. This event was the first time that an elite group of professional golfers had gathered at the difficult Ocean Course in South Carolina since the Ryder Cup was competed for at the same location two decades ago, and the young Irishman did not disappoint as his performance was extraordinary. This was one of the few national courses that I have had the opportunity to play, and his performance on that track with its wind, sand, and ocean was beyond description. The Trails & Sails weekends will soon be here, and it is not too early to make your plans. The event was designed from the outset to provide a wonderful, annual festival for the 725,000 residents living in the Essex National Heritage Area and the thousands of visitors who come to this region each fall. In 2012, Trails & Sails is again presented free of charge thanks to the generosity of the many organizations which manage the heritage sites in this region and all the support provided by our Trails & Sails sponsors who continue to feel that this a wonderful way to “give back” to the region. Join us for the 11th annual Trails & Sails: Two Weekends of Walks and Water, September 21-23 & September 28-30, 2012! Explore Essex County's cultural, historic and natural sites during two weekends of 200+ FREE events. Enjoy a variety of guided tours, open house visits, hikes, walks, sails, paddles, and other special experiences for all ages, skill levels and interests. Search the online event listing and plot your course here! Plot your course to fun & adventure online at www.trailsandsails.org! Log in to take advantage of all online features, search events, bookmark your favorites and up your chances of winning one of two Novara hybrid bikes from REI! • If you are an Essex Heritage member your printed guide will be mailed to you. Become a member! • A limited number of printed guides will be available for FREE at Essex National Heritage Area Regional Visitor Centers, TD Bank and Eastern Bank locations in Essex County, Mass. Before you go, we recommend that you call ahead to check hours and to confirm that guides are still available. • Purchase a guide online and it will be mailed directly to you. (Fee covers printing and postage). It is with fondness that Essex Heritage wishes Elizabeth Rankin, our beloved employee for 7 years a farewell. Elizabeth handled Essex Heritage's membership program and graphic design, but has decided to stay at home with her beautiful, recently born son. We will miss her, but wish her all the best! Emily Levin has been promoted to Assistant Director of Marketing and Communications. Emily has been with Essex Heritage for over three years, and will excel in her new role! In addition, Jill Ennis has taken the job as Administrative Assistant. Jill has been a fabulous intern with us since the spring, and she brings with her a wealth of business and technical expertise. The team at Essex Heritage thanks you for your support. Please call on us anytime! When the Danvers BI-PEDS found that they had both bottled water and soft drinks left over from their opening day ceremonies due to the torrential rains, they took a very positive step with the help of Danvers Fresh Marketplace – which agreed to sell the private label products and donate the proceeds towards the paving for the Danvers Rail Trail.